There were times when our parents were the only YouTube available for kids. If you were the 90's kid or before that, you will understand that only references and/or sources of information available to us were either text books or our parents. But let me tell you technology is here to stay, and it's only growing we can run from it, hide from it but there is no way of completely shutting it out. So instead of hiding your kids from it and making them all curious at the later stages in life we can introduce it to them under parental control/ supervision. From Rhymes to Physics Lessons everything is available on the internet. Youtube has somewhat never ceases to amaze me with 100 hours of video uploads every minute. The original YouTube has many channels for kids and Adults but if you want your kids to have restricted access you can use either turn on parental controls or download YouTube for Kids. But just setting up parental controls does not rule out the fact the content need to be constantly administered under parents. Along the way, we learned a lot, laughed out loud, and fell in love with what YouTube -- at its best. If you know Elmo then you would know Sesame Street. From the makers of Sesame Street Workshops, Sesame Street, the show was designed to use television to teach preschoolers, and give them skills that would ensure a successful transition from home to school. The show gave children a head start, and aimed to provide them with the confidence to learn the alphabet, numbers, and social skills. 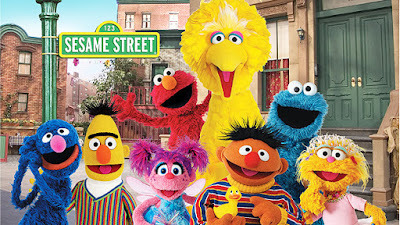 From the beginning (1969), Sesame Street has been the most thoroughly researched and tested television show ever produced, and it has received more Emmy Awards than any other program in television history. Their YouTube channel works on the same lines as the show. Elmo, Cookie Monster, Big Bird and friends are all here, along with vintage clips and musical videos. This is Kabbir's favourite from the beginning I remember we had some memorable time exploring and learning through kids songs and rhymes. The Super Simple Songs Playlist features kids songs and nursery rhymes made Super Simple for young learners. Learn animal names and sounds, numbers, colors, parts of the body, seasons, abcs, and more! P.S: Kabbir actually considers Ryan to be his brother and wants to meet him. He actually tries some of his experiments with his dad at home. Everybody in our family knows who is Ryan!!! ChuChu TV is the third most subscribed channel in India with over 10 million subscribers and over 8.5 billion video views. ChuChu TV consists of various YouTube channels for children that are dedicated towards creating 2D and 3D animation videos of traditional nursery rhymes with an incorporation of peppy music and a modern day aesthetic in them. 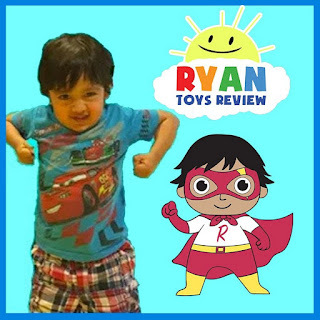 This channel worked for us as it has rhymes and songs that kids are taught specifically in India with an Indian accent that kids can relate easily. When we started Play School Kabbir was already familiar with the rhymes taught in his school. His personal favourite rhyme from there channel was Johny Johny, Yes Papa. 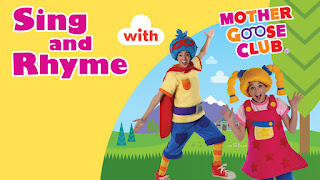 The six colorful characters (adults and kids) introduce little ones to nursery rhymes and other preschool classics, through movement, song, and skits. You can choose to watch single, short (1- to 2-minute) episodes or the channel's curated playlists (which run around 30 minutes). Don't miss "Rockin Robot," a super catchy tune with fun robot moves that Kabbir found irresistible. This list may find mom's wondering "So much screen time for kids!!!" but then with careful supervision and with proper parental controls, kids can actually use & benefit from technology. Limiting the Screen Time and carefully administering the content that they are access, can make a whole lot of difference and to be honest even helps moms to gain their adult sanity. Do try the channels and if you like the recommendations do comment below! Note: That Imperfect Mom do not have any right on the Images used.